Your children are the center of the world. Nearly everything you do is for the benefit of your child: working, cleaning and cooking. As a parent, you want to do everything in your power to keep your children safe. There are four key devices that you should have that will help you sleep a little easier at night knowing you have provided your kid the utmost security. Learn how devices like a home alarm system or nanny cam can protect your family. Whether it is a hidden camera or one placed out in the open, a nanny cam can help parents feel at ease when they leave their child alone with a sitter. Unfortunately, there are instances in which a baby sitter either does things against the parents’ wishes, like giving kids juice, or, what’s worse, some sitters abuse children. Monitor your nanny and your children by having a camera in place. Whether your child is just learning to walk or just learning to drive, there is a GPS device tailor-made for your needs. Small, pocket-sized devices can act as a child locator for little ones. You can slip it in their book bag or attach it to their pants, which will speed up the search should your child go missing. For teenagers, there are tracking devices you can install in their cars so you know where they are going. Some devices can even tell you if they are speeding or otherwise driving recklessly. Some parents choose to tell their teen if they are installing such a device, encouraging open conversation and good behavior. Others trust their children to make good decisions and instead use the device as a means of security. Once your child is old enough to use a computer or a cell phone, a whole new world is open to them. While cell phones can actually provide parents with some peace of mind, as a child can now get in touch when he needs to, there are also concerns about how often he uses his phone and with whom he is socializing. There are now devices that can monitor your child’s call logs and serve as a GPS so you know where he is. 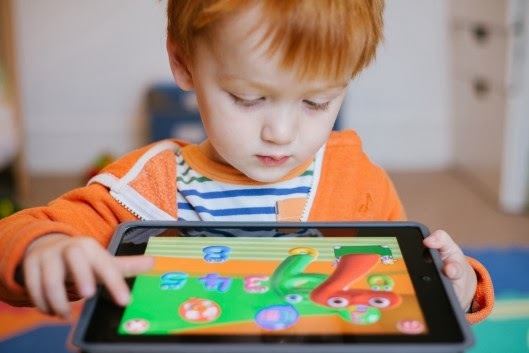 Additionally, there are devices and software you can install on your child’s computer that can limit their screen time, monitor the sites they visit and even block certain domains. Parents can see if children are having inappropriate conversations online or sending sensitive e-mails. Through taking advantage of these devices, you can ensure that you are doing everything you can to keep your child safe. You can monitor their behavior, keep an eye on sitters and ensure that should your child go missing, you have provided a way for authorities to quickly track and locate your little one. Article written by Jen Blair of the Sprightly Shopper, Follow her on twitter @sprightlyshopr.